A busy little bumble bee two piece costume, in striped yellow and black velour. 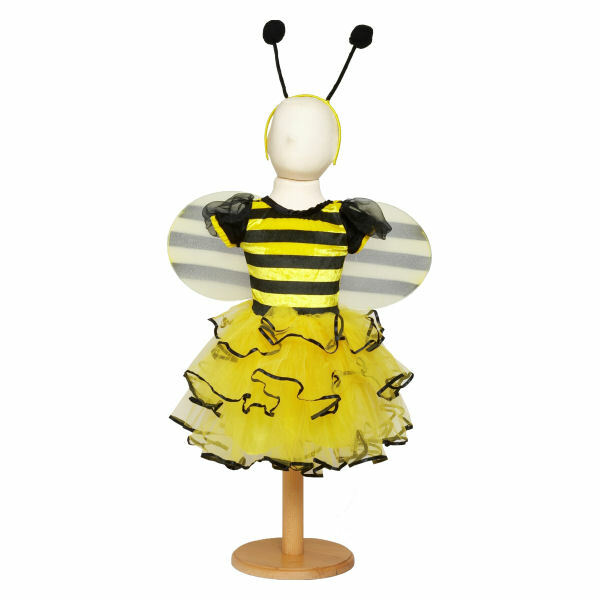 The skirt is edged in black ribbon and the yellow headband has black antennae boppers. The wings are detachable for when flying around becomes to tiring. Available in 3 sizes, 18 months -2 years, 2-3 years and 3-5 years.